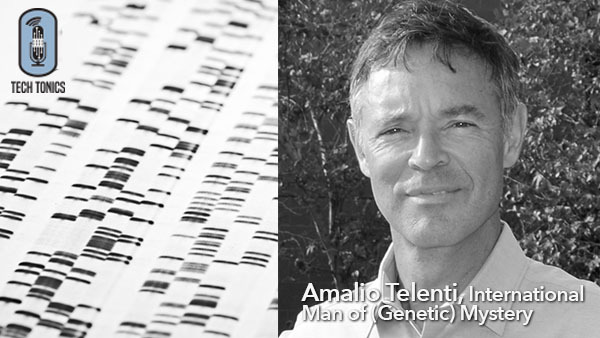 In the course of his fascinating career, physician-scientist Amalio Telenti has had the opportunity to work in two imiscible centers of excellence in genomics: Eric Lander’s Broad Institute and Craig Venter’s Human Longevity Institute (HLI); on today’s show, we’ll learn what he’s taken away from these two exceptional and distinct organizations – and why he’s so grateful for both experience. Born in Spain to a long line of physicians, Amalio chose to become (wait for it) a physician, completing his internal medicine and infectious disease training at the Mayo Clinic in Rochester, MN. He then returned to Europe, and conducted what he’s described as some of the most impactful research of his life, elucidating the genes underlying multi-drug resistant tuberculosis; the laboratory test used today for this infection is based on Amalio’s original discovery. Amalio’s career led him back and forth across the Atlantic several times, including a Sabbatical year at the Broad Institute and Harvard. Several years later, Amalio met Craig Venter, and after a whirlwind courtship – Amalio was persuaded to gather up his family and join Venter’s new enterprise, HLI. A few weeks later Amalio was on his way to Southern California, to start what he’s described as a “wild ride.” Today, Amalio is a professor focused on genomics and data science at the Scripps Research Institute in La Jolla. #Winning.